Did you know that all AngularJS Templates are in HTML? Let me get a little more specific with the definition. Each angular bootstrap template is written in Hypertext Markup Language with angular-based elements and attributes. Every AngularJS website template combines with information from a model and controller. Developers then use this to render a dynamic view, which users not only see but also interact with on the browser. You can also see Jekyll Website Templates. Neuboard is a premium theme sporting a flat and modern design. It is fully responsive and you can choose from one of the many included theme colors or create your own. 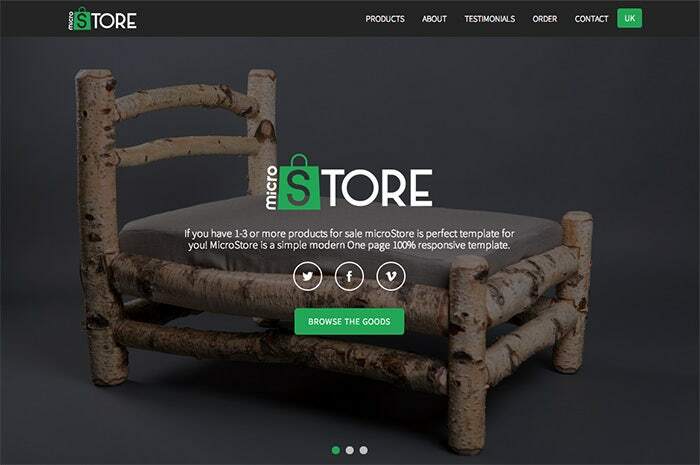 Designed with Boostrap3, HTML5 and CSS3, microStore is a fully responsive and retina ready template. It is cross browser compatible and comes with 3 predefined skins and over 300 icons. 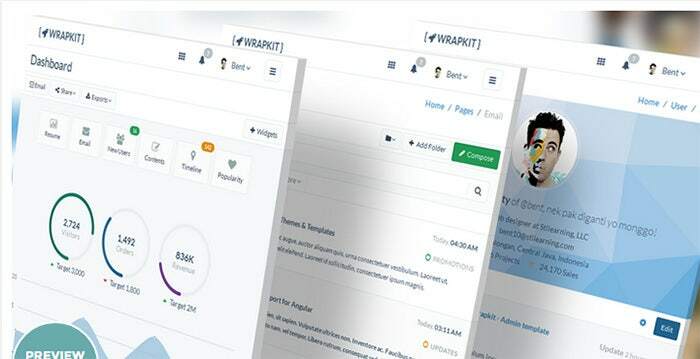 Wrapkit is beautiful template with minimal design. 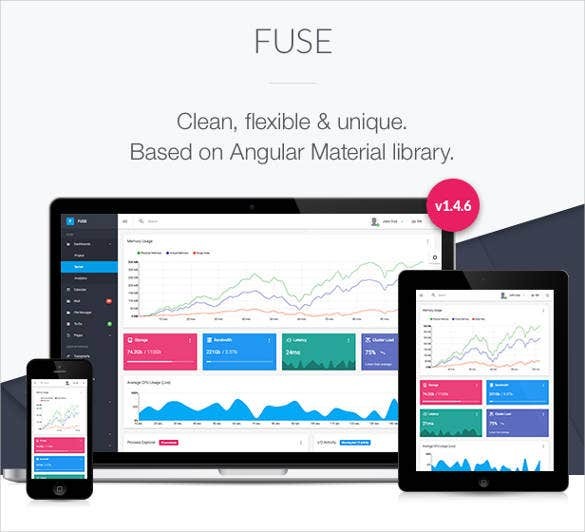 Built with Bootstrap3 it is fully responsive and supports SASS and RTL. It also comes included with live sizeable sidebars and multilevel menus. 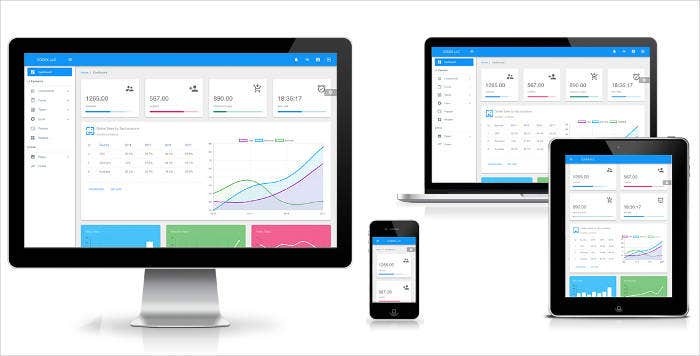 Based on Bootstrap3, HTML5 and CSS3, Blankon is a fully responsive AngularJS template. It comes with skins, sidebars and navbars of many colors. Also included are some cool animations and custom pages. Angular-X is a beautifully designed template that is fully responsive. It comes with multiple layouts and you have the choice of using any back end. It is cross browser compatible and includes a real time validation form. If you are looking for a refined angular website template, this template here is sure to impress you with its minimalist yet elegant feel. Built on Bootstrap 4, this template follows a responsive design so that you can easily reach out to your smartphone audience. There are multiple layouts to choose from. 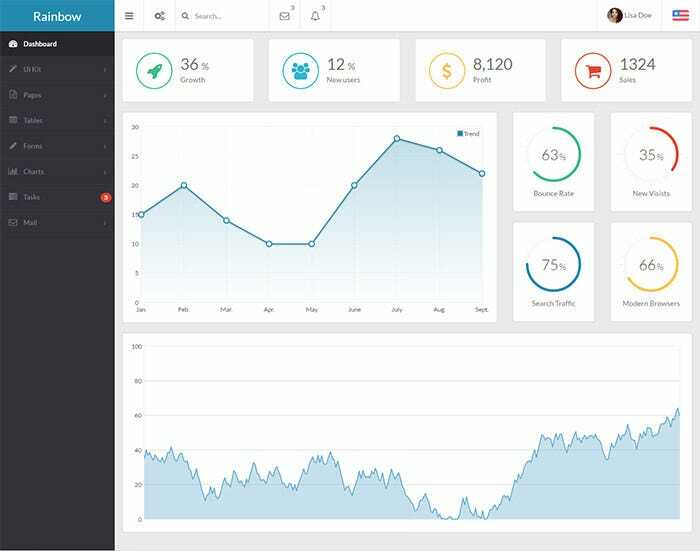 If you are looking for a smart angularjs admin template free download that will enable you to insert different charts for a cutting edge visual representation of your data, look no further. 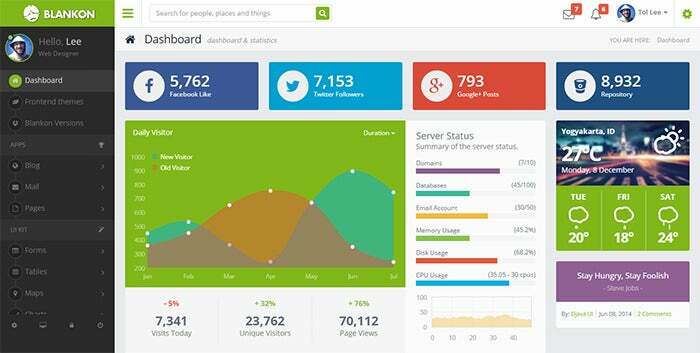 The responsive template could be used for varied web applications such as admin dashboard, custom admin panel, application backend and so on. 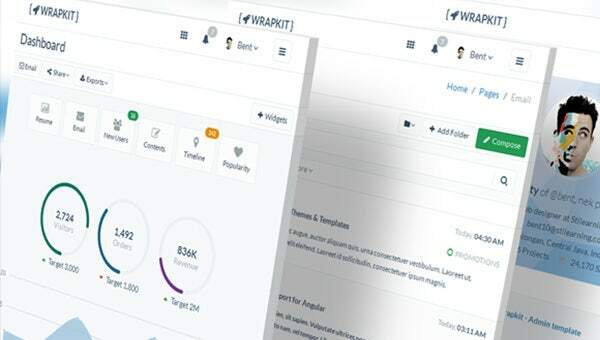 You are getting a very functional multiform free angular template here that arrives with three admin themes, five menu styles & seamless layout options. 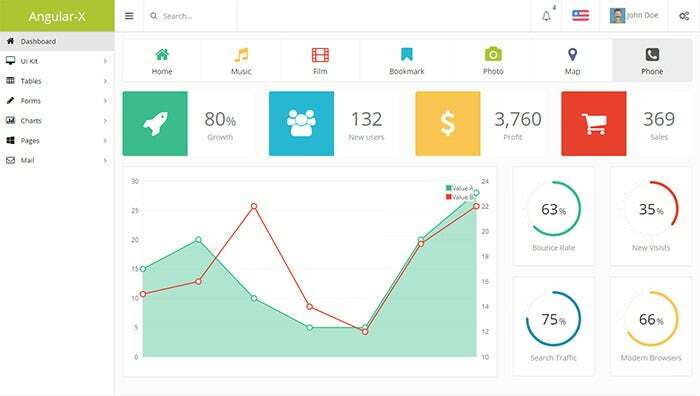 You can use it for varied web applications such as admin dashboard, custom admin panel, application backend and so on. The template assures a completely responsive design. If you are on the lookout of versatile angularjs free templates that can help you with multiple layouts, this Rainbow option would mean a fine pick for you. You are getting a robust internationalization & localization support here. It’s built in Bootstrap and promises a superb responsive design. Moreover, it’s crossbrowser compatible. 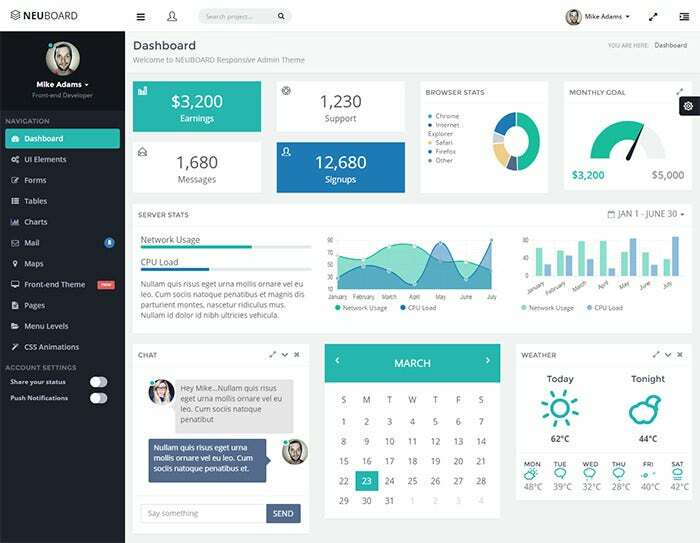 If you are looking for cutting edge angularjs html template free download for your admin dashboard, this template here is just the thing for you. Powered with HTML5 & CSS3 standards, it offers a full responsive design & is able to work on every contemporary browser. There is the option to decide from six shades for header, navbar, branding & active element. You are getting a powerful angularjs bootstrap template free download here which would be amazing for your real estate website. It is backed by custom features especially made for realtor sites such as custom maps, map markers, multi map-style themes, exclusive application layouts & so on. You have a responsive option here. Form controls: a form control is very important in the template. Lack of a form on the template means no getting of information from the users. In short, form control is relevant for getting user input. Filter: Data needs to be formatted in a proper way before being displayed to the users. You want to display only accurate and best data. You want the users to have access to only what they are supposed to see, not what will “tamper” with their interaction and experience. The angularjs bootstrap template therefore uses the Filter feature to format data properly for display. Markup: AngularJS admin Template has its element expressions bound in double curly braces notations. Directive: This is the last element in the list. It is perfect for argumentation of the Document Object Model in each of the AngularJS Spa template.